Steve Baldwin is an agent with MI-6. Well, he would certainly disagree with me on that. He would say he was a retired Royal Marine boat bum, content to spend his life sailing around the Mediterranean and the Middle East and mind his own business. Except that he is not really allowed to do the latter. He can sail; no one is stopping him from doing that (except for those who occasionally try to kill him) but mind his own business? Not so much. Over some time and more than a few pages the reader learns that Baldwin had been the son of a commercial fisherman who had plans for his son to work with him in the family business. Since daddy was a drunk and a wife-beater, Baldwin had no such intentions and found a better career path in the military. Not long thereafter his father was lost at sea so the matter became mute. When his mother died shortly after from cancer, Baldwin knew the Marines was his new family. One important fact that will play a big part in the future is his desire to go into the SBS, the elite British naval special forces. An injury would prevent him from making the grade but how superbly he had done prior to it definitely made it into his permanent record and years later would be noticed. We pick up his life when he had served quite a few years and was now on his own and doing whatever he felt like and that was sailing his small boat to places that interested him. Was it good luck or bad that some of the places he headed were places that HMG intelligence services needed someone who was both very good at special operations and quite expendable. 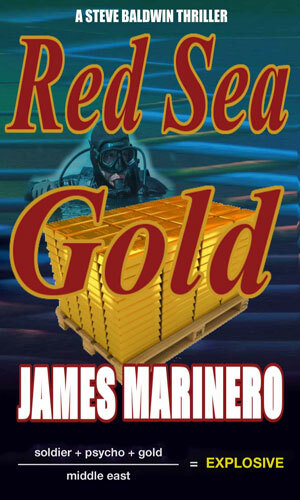 Ex-Royal Marine Steve Baldwin finds himself in the middle of a huge mess involving a rich oligarch out after gold and a beautiful but unhinged Serbian assassin. Oh, China and the UK and the US have their navies involved as well. 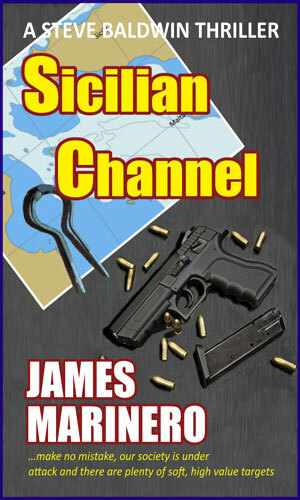 Part 1 of the Maghreb Trilogy - Needing some R&R away from everything, Steve Baldwin is sailing in and around Crete when he is approached by MI6 to assist in finding and eliminating the Serbian assassin about whom he knows far more than he should. This is before the Chinese take an interest as well. Part 2 of the Maghreb Trilogy - Involved in tracking a rogue Chinese agent, Steve Baldwin should have brought him in while on Malta but things go awry. Before he can think of trying again, he is sent to North Africa where British interests are in jeopardy because of the unrest there. 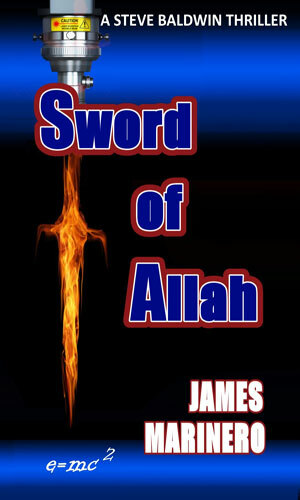 Part 3 of the Maghreb Trilogy - Abu ben-Zhair has a plan to destroy the West and force the Middle East into the Caliphate he desires so much. It involves a WMD and a weak spot in the Earth. 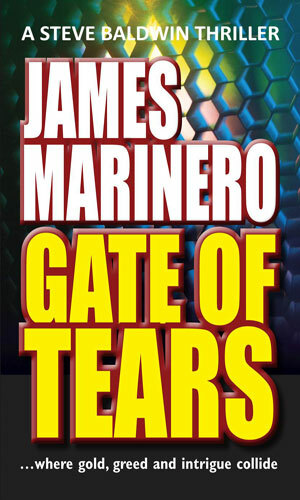 A scaled-down novella retelling of the conflict between Steve Baldwin and the Serbian assassin as told in Gate of Tears. 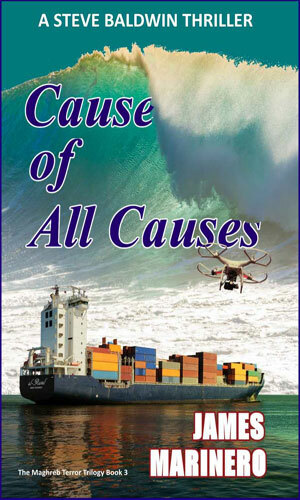 As of this writing I have not read all the books but what I have read has fascinated me. The action is very good and the plots are quite believable (a couple of times frighteningly so). What fascinates me, though, was the time spent developing some of the major characters. In the first adventure, for example, we meet a gold magnate. We learn through some very interesting writing a brief but important amount about his grandfather and then his father and finally him. This might sound a tad tangental and potentially boring but believe me when I say I was not the least bit bored. The author made me want to know more. And this was all in pieces long before the man played a part in the main adventure. These side trips were truly intriguing. And there is the case of Mariska, a key player in the adventures. That is not who she really is but who she pretends to be and that is another case where we learn a bit at a time the history that made her what she would become. The blurb on the book jacket implied from the beginning that she was a psychopathic killer and she definitely is one. But we get to see how she became so and though we are never, ever made to root for her because she is a cold-blooded killer with no real redeeming qualities, she is fascinating to watch. It's like a horrible accident you can't bear to watch and can't tear your eyes away. She is spooky and the author does an awesome job letting you see that, a little at a time. So, this is a spy adventure that has a whole lot more. As I said, I have not yet read all the books. But I plan to. Likely because I cannot look away.